When it comes to sharing the Gospel, God did not leave us to fend for ourselves, He left us a perfect systematic theology of evangelism that cannot be improved upon by any man! We have won Muslims, Jehovah’s Witnesses, Nazi’s, atheists, Chicago street-gang members (and relatives) to the Lord with the information included in our Excellence in Evangelism Training Kit! The Biblical Worldview Training Seminar contains everything you need to teach your own half-day or full-day seminar, plus, dozens of discipleship centered Sunday school classes or, small group Bible studies. With the additional resources included in the kit, there is enough material for 52 weeks of sermons, Sunday school lessons, weekly small groups, youth groups or, men’s / ladies Bible studies. Many people are blown away as they learn how to present the Gospel with the power of Sinai and the love of the cross! And you’ll learn how to answer the skeptics, not by arguing doctrine, but by simply asking the right questions—the way Jesus did! People are utterly amazed to learn how easy it is when you know the right questions! This 350-page hardcover book is a virtual library on evangelism, discipleship, and answering the cults with questions! Session: Is This Really New Testament Theology? Session: What Does it Mean to “Believe” in Jesus? HOW CAN A LOVING GOD ALLOW PEOPLE TO SUFFER IN HELL FOREVER? AREN’T’ ALL RELIGIONS BASICALLY THE SAME? ISN’T EVOLUTION A PROVEN SCIENTIFIC FACT? The kit includes 10 copies of our best-selling book (70,000 in print so far), God the Final Frontier. You’ll want to keep one and give the others away! 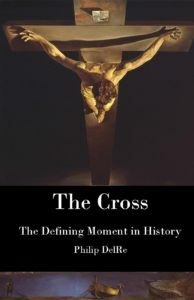 After hundreds of hours of research, writing (and re-writing), and hours and hours of searching through thousands of photographs, many people have said this is one of the most thought-provoking books (other than the Bible) they have ever read! This book reveals God’s three reasons why no man will stand before Him with any excuse for ignoring or denying Him! Part Four: How Can One God Be a Trinity? Did Darwin Reject His Own Theory? What is the Real Motive Behind Atheism? Why Would Anyone Reject God? “You only have two choices; either God is eternal and uncreated, or matter is eternal and uncreated, there is no third option. It was 1910 when Albert Einstein published his Theory of Relativity. His mathematical equation (math being a perfect science) provided a basis for proof that time, space, and matter (which is energy) could not be eternal, but had a beginning. Incredibly, Einstein’s discovery fit the biblical account of creation (written thousands before the genesis of scientific research) perfectly. Speaking of science, I’d like to remind you there is not a scientist in the world who can tell you how a brown cow can eat green grass and turn it into white milk (everyone laughs when I say that in a live seminar). Some of these professors have so many degrees they don’t have any temperature left! God the Final Frontier is filled with illustrations from the wonders of God’s creation. Discover for yourself the secrets and the mysteries of the universe! “The Milky Way Galaxy is 100,000 light-years across and 10,000 light years in diameter. To get from one end of the galaxy to the other, you would have to travel at the speed of light (186,000 miles per second) for 100,000 years. “The Earth is 26,000 light years from the center of the galaxy. 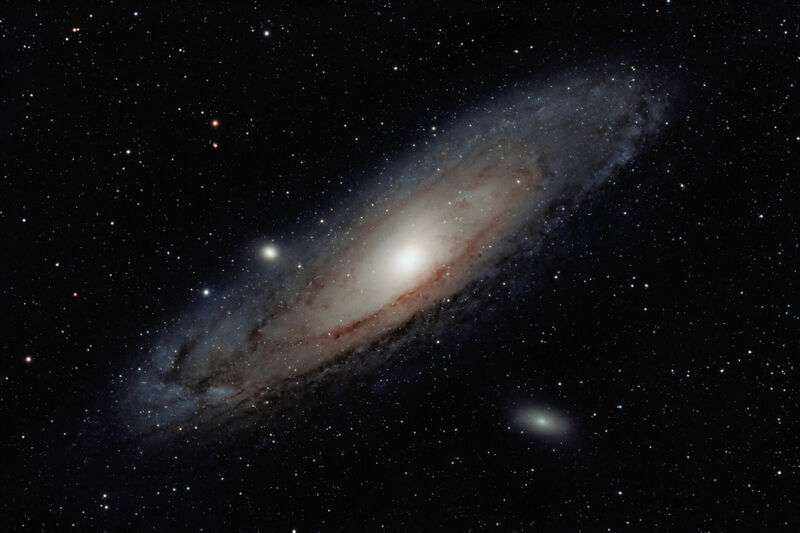 If you were to take a commercial airliner from Earth to the center of our own galaxy, traveling 550 miles an hour, it would take you not 278 million, billion, trillion, or quadrillion years, but 278 quintillion years to get there (one quintillion is a thousand quadrillion)! “Not only do all the planets in our solar system revolve around the sun, but the entire Milky Way Galaxy is revolving (along with its 100–400 billion stars). It makes one complete revolution every 250 million years! “As passengers on starship Earth, we are at this moment spinning around the center of the Milky Way Galaxy like a giant cosmic Ferris wheel. Our speed is 558,000 miles an hour. Our on-time arrival record is better than any train or airline in the world! I praise you because I am fearfully and wonderfully made; your works are wonderful, I know that full well. My frame was not hidden from you when I was made in the secret place, when I was woven together in the depths of the earth. Your eyes saw my unformed body; all the days ordained for me were written in your book before one of them came to be. This is an actual photograph of an 8-week old baby! “On that glorious day of conception, amazing things began to happen. Two cells became one and then, miraculously, the one became two. Beginning as a single cell, you began to divide exponentially and on the day you were born your completed body was made up of more than 100 trillion extremely complex little machines called cells. Our Excellence in Evangelism Training Manual Has a great book on Israel and Bible prophecy. People are utterly fascinated by this prophetic history lesson! The fulfilling of the Abrahamic Covenant (Right now and in ways most people have never realized)! Qualified American science professors and Ph.D. astrophysicists have shown that Bible prophecy provides a basis for proof that the Scriptures are divinely inspired. By using the mathematical laws of probability, they show that God inspired the writing of those prophecies to a definiteness which lacks only one chance in 10 2000 power! That number is more than all of the atoms in the known universe! God’s Master Plan of Salvation is our most important work ever. How do you reconcile justice and mercy without compromising one or the other? Only God can do that. This book will teach you how to present the Gospel in its literal, historical, and theological context so Christianity makes sense! Ray Comfort of Living Waters (The Way of the Master). Ray reveals how atheistic college professors cannot produce one shred of evidence for evolution— on camera! 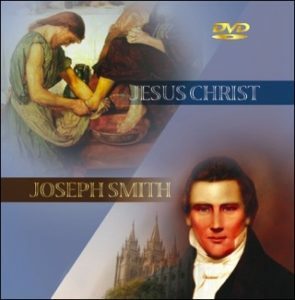 The false prophecies of Joseph Smith (Mormonism) with Jesus Christ. Our 37-minute video recorded live at the Greater Rockford Evangelical Associations Leadership Prayer Luncheon on the National Day of Prayer. Fortunately for critical thinkers, there are only 5 major religions in the world and they are all mutually exclusive. The only thing they have in common is that they have almost nothing in common. Logically, they are either all wrong or one is right and the others are wrong. You will learn how to explain the nature of God with arguments so compelling, we have seen cultists get saved right before our eyes! How would you like to reach out to every student in your community with a truly compelling reason for faith in God? How would you like it if the men and young people in your church were actually excited about serving God? Show students why we believe what we believe without being boring (the pictures really hold their interest). This is an excellent way to reach out to every student in your community. Call for information on getting this book by the case. Help those who are seeking God to find Him (the information is compelling). Disciple new believers (prayer, Bible, fellowship, church, and witnessing) — it’s all in there. Help Christians grow in their ability to articulate a truly compelling presentation of the Gospel. Draw people to open the Bible and read it for themselves. –Charles Colson, Founder, and Chairman of Prison Fellowship Ministries. –Dr. Carl Baugh, Founder, and Director of the Creation Evidence Museum. –Dr. Robert Coleman, Director of the School for World Missions & Evangelism for the Billy Graham Association, Professor at Gordon Conwell, and author of the best-selling book, The Master Plan of Evangelism. –Dr. David Larsen, Professor of Preaching Emeritus, Trinity Evangelical Divinity School, Deerfield, Illinois. –Paul Ridgeway, host of, Prime Time Drive Time, KKMS Radio out of Minneapolis. –David Lieske, M. Div. Student, Moody Bible Institute. –Ray Sanders, Director Christian Friends of Israel. –Dr. Bob Griffin, President of Rockford Renewal Ministries and the author of Fire Storms of Revival. –Reddit Andrews III, Director of Chapel, Trinity Evangelical Divinity School. –Charles Lyons, Senior Pastor of Armitage Baptist Church in Chicago, IL. –Todd Wendorf, formerly with Willow Creek, Harvest, and Saddleback. –Debra Moffett, Co-host of the Harvest TV Show and former Miss America 1983. –Tim & Sarah Brown, Students, Trinity Evangelical Divinity School, Deerfield, IL. This training kit includes ten of our most popular messages (3 books & 7 audio messages in digital format) to further equip you for a ministry of inspirational and motivational speaking! (they’ll think you have a doctorate degree in theology, but you don’t even need a fishing license)! If you were to make the suggested donation for all these resources individually, with shipping, you would invest almost $300.00. We are offering this virtual library for a suggested donation of only $97.00. We invested hundreds of hours to research, write, rewrite, and produce this resources so you can be a true soul winner! Discover how qualified American science professors and Ph.D. astrophysicists have shown that Bible prophecy provides a basis for proof that the Scriptures are divinely inspired. By using the mathematical laws of probability, they show that God inspired the writing of those prophecies to a definiteness which lacks only one chance in 10 2000 power! That number is more than all of the atoms in the known universe! Learn the three reasons God Himself provides for why no man will stand before Him with any excuse for ignoring or denying His existence. Be able to articulate the prophetic relationship that exists between the Old and the New Testament (many misunderstand this fascinating, biblical truth). Learn how to tap into God’s power by learning the truth about prayer. Discover the greatest demonstration of power anyone has ever seen, and learn why it is still God’s most effectual instrument to draw people to Christ. Learn the fascinating truth of how Einstein’s Theory of Relativity perfectly matches the Biblical account of creation. Discover some of the most amazing facts from the wonders of God’s creation. People are utterly amazed when they learn how our galaxy revolves once every two hundred and fifty million years like a giant cosmic Ferris wheel–as billions of stars all march in place–not one is missing–and God calls them all by name! Learn how to answer the cults and unbelievers, not by arguing doctrine, but by simply asking the right questions – like Jesus did (this part is really fun)! Our message, The Fear of Man Vs. the Fear of God has been used by God to help many people come out of the closet of fear, to live lives of lionhearted boldness for the Lord. I taught it at a 3,000 member church and they had 940 requests for copies! Sharing Christ with your loved ones may never be easier (or more effective) than it is right now. If you do not feel confident enough to share your faith with someone, the book does it for you. It could even be sent anonymously (they can’t argue with a book). You don’t have to become a scientist, a philosopher, or an attorney to present a truly compelling presentation of the Gospel—the book does it for you! Books can go places where Jesus may not be welcome. There is a deep and abiding sense of satisfaction when you share Jesus with someone, even when you leave one in a public place —people read it! It’s a great feeling to know you are participating in the Great Commission. Your conscience can be clear when you share the truth about God with family members, friends, coworkers, etc. Great men of the past have been saved by reading short books like: George Whitfield, Hudson Taylor, and many others. These men led thousands to the Lord, and it began because someone cared enough to give them a book or a tract! Our hope (and prayer) is that every high school student (and anyone else) who wants to know the truth about God will have the opportunity to read, God the Final Frontier. Your donation of $97.00 will help us distribute this book around the world. We give them to students and prison inmates for free! Thousands of people who have heard these messages and read these books have reported everything from salvation to being delivered from the fear of what others think, to having their ministries and their lives turned upside down! One of our most popular series of messages ever has been our “Catholic Chronicles.” It’s a four-part series comparing Roman Catholicism to the Bible. Please know, I am not a “Catholic Basher.” I was raised Catholic, and I have dear friends and family members who are Catholic. Furthermore, I believe there are people in Catholicism who do love Jesus. 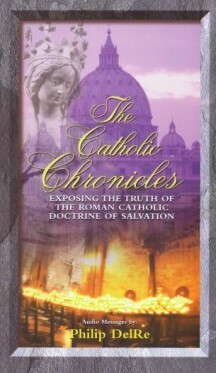 This fascinating and informative exposé is about Catholic doctrine, not Catholic people. Almost everyone who hears this series tells us how absolutely fascinated they were listening to it, and how little they really knew about it—including Catholics! This series of audio messages will totally blow you away. Part One: Salvation According to Rome. Part Two: Mariology or Mariolatry? Part Three: Purgatory—What Does the Bible Say About Life After Death? Part Four: Is the Pope Really Infallible on Matters of Spirituality and Morals as Rome Claims? We are so confident you will appreciate these resources; we are offering a $10,000 reward to anyone who can show us a similar program we think is better! Okay, okay, I’m using a bit of hyperbole to make a point. I’m excited—okay? The suggested donation for the audio messages is $5.00 each and there are 17 altogether. The suggested donation for the: Answering the Cults books is: $5.00 each and there are 3. God’s Master Plan of Salvation book is $10.00. God the Final Frontier is $5.00 (The kit includes 10 copies. You’ll want to keep one and give the others away)! If all these items were purchased separately, well, do the math! You will receive a Bible college-level course on evangelism to master in your own home. Sadly, most Bible colleges don’t teach evangelism. You can get all these resources for a suggested donation of $97.00 (Plus shipping). Click Order Now and Get Started Today! You have my word we will never sell your email address to anyone–ever! An unconditional money back guarantee. If you don’t think these resources are everything we say they are, return the books to us within 30 days, and the three eBooks, and the eight MP3 audio messages are yours. We will refund your money—no questions asked.